The following terms and conditions govern your use of the web site and any order or purchase of products or tickets from this web site (Products). To the extent permitted by applicable laws, Reading is not liable to you or any other person for any losses suffered in connection with the use of this web site or the Products, or in connection with any materials contained on this web site (Site Materials) or materials contained on any linked web site (Linked Materials). Reading make no representations or warranties in relation to the accuracy of the Site Materials or Linked Materials. If you place any reliance upon the Site Materials or Linked Materials, then you do so at the your own risk. The links provided to other web sites are done for convenience purposes only and Reading does not purport to approve or endorse any of the Linked Materials. Reading does not represent or warrant that the Site Materials or Linked Materials are free of computer viruses or other defects. Reading recommends that virus checks should be done on any downloaded Site Materials or Linked Materials. Changes may be made to this web site. However Reading makes no representation that the Site Materials will be updated and Reading is not liable for any losses suffered in relation to Site Materials or Linked Materials which is out of date. To the extent permitted by applicable laws, all warranties, representations and implied terms are excluded. To the extent permitted by applicable laws, any liability incurred in relation to Products, Site Materials or Linked Materials is limited to the resupply of the Products, Site Materials or the links to the Linked Materials, or the reasonable cost of having the Products, Site Materials or the links to the Linked Materials resupplied. Under no circumstances will Reading be liable for any incidental, special or consequential damages, including damages for loss of business or other profits arising in relation to use of the Products, Site Materials or Linked Materials. Unless otherwise stated the copyright in the Site Materials is owned by Reading. Other than for the purposes and subject to the conditions prescribed under the Copyright Act 1968, or as otherwise provided below, none of the Site Materials may be reproduced, distributed, adapted, transmitted or stored in a retrieval system without the prior written consent of Reading. Reading makes no representations that the Linked Materials do not infringe the intellectual property rights of a third person. The trademarks contained on this web site are the trade marks of their respective owners. These trademarks may not be reproduced without the owner's consent. 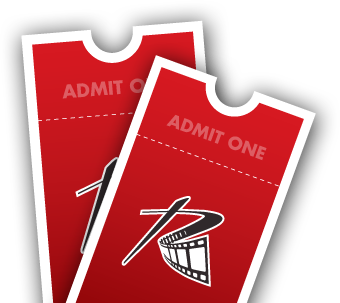 Movie tickets are made available on this web site subject to the classification of the relevant film given by the applicable film and literature classification authority. By purchasing a ticket, you represent that you are of an age permitted to purchase a ticket pursuant to the relevant classification for the film. The Products purchased through this web site are non-refundable and cannot be exchanged, unless required by an applicable law. Reading may at its discretion, refuse to sell the Products or withdraw the Products from sale. Reading will comply with Reading's Privacy Statement. By using this web site or purchasing the Products, you consent to Reading collecting and using your personal information in accordance with Reading's privacy statement. These terms and conditions of use are governed by the laws in force in Victoria, Australia. You submit to the non-exclusive jurisdiction of the courts of Victoria, Australia and any courts which may hear appeals from those courts in respect of any proceedings in connection with these terms and conditions of use, or the use of this web site. If any provisions of these terms and conditions are found to be invalid or unenforceable, then that provision will be read down or severed and that invalidity or unenforceability does not affect the validity or enforceability of the other terms and conditions.